Sheetmetal Tooling Tech is a supplier of Wilson Turret Punching tooling and equipment. Innovative design and high quality manufacturing converge in the Wilson 2-4-1 tooling system to deliver twice the grind life. 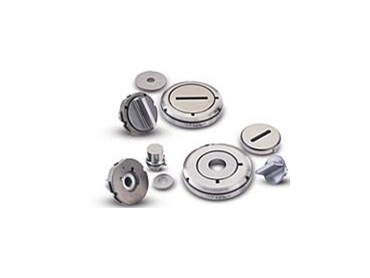 The Wilson 2-4-1 tooling system includes dies that incorporate a die holder, die insert and shim pack and punches engineered with a unique high precision spacer design that together increase grind life to a 0.236 inches (6mm). Wilson 2-4-1 punches and dies are engineered with high speed steel to allow more hits between tool sharpenings and reduce dowtime. Wilson’s exclusive Optima coating is also available on all punches for maximum wear resistance.